Notice the use of the terms, “the words of the prophecy of this book” and “the words of the book of this prophecy” limiting the conditions exclusively to “this book” and “this prophecy”. 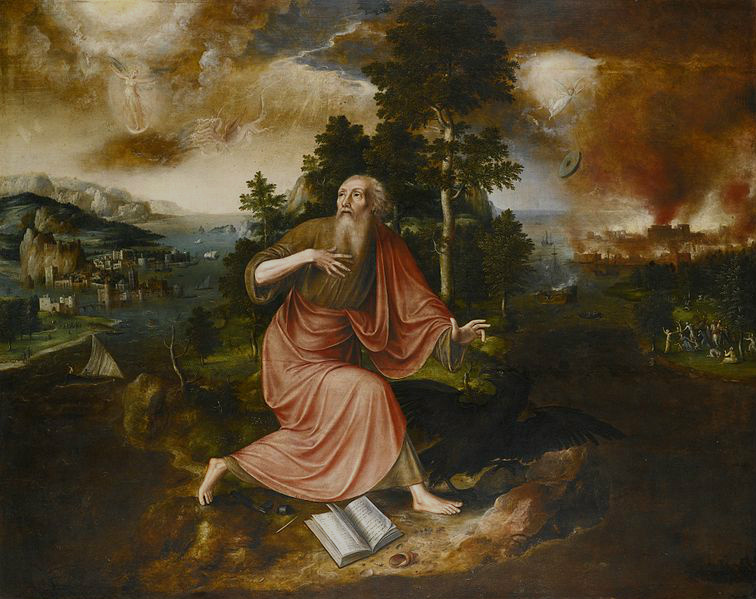 The language of the text itself limits the scope of these conditions to this book of prophecy – that is, the book that we now know as “The Book of Revelation”. Because of this awkward misstep by their debating opponents, Latter-day Saints will often feel vindicated that Joseph Smith did not violate Christ’s explicit instructions to future generations in regard to the Book of Revelation. This too is in error. In actual fact, Joseph Smith in the Joseph Smith Translation of the Bible (JST), both took away from and added to the the words of the prophecy of the book. Let’s consider where and how he did this. 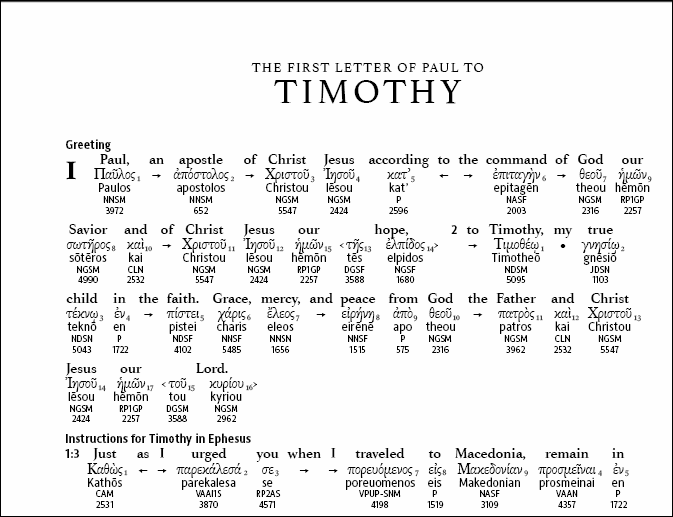 The changes from the King James Version (KJV) of the Bible are italicized in their JST equivalents. John received a revelation from Jesus Christ and delivered it to the leaders over the seven churches in Asia rather than the book being a revelation of Jesus Christ. 2 Who bore record of the word of God, and of the testimony of Jesus Christ, and of all things that he saw. 3 Blessed are they who read, and they who hear and understand the words of this prophecy, and keep those things which are written therein, for the time of the coming of the Lord draweth nigh. 4 Now this is the testimony of John to the seven servants who are over the seven churches in Asia. Grace unto you, and peace from him who is, and who was, and who is to come; who hath sent forth his angel from before his throne, to testify unto those who are the seven servants over the seven churches. 5 Therefore, I, John, the faithful witness, bear record of the things which were delivered me of the angel, and from Jesus Christ the first begotten of the dead, and the Prince of the kings of the earth. 6 And unto him who loved us, be glory; who washed us from our sins in his own blood, and hath made us kings and priests unto God, his Father. To him be glory and dominion, forever and ever. Amen. 7 For behold, he cometh in the clouds with ten thousands of his saints in the kingdom, clothed with the glory of his Father. And every eye shall see him; and they who pierced him, and all kindreds of the earth shall wail because of him. Even so, Amen. 8 For he saith, I am Alpha and Omega, the beginning and the ending, the Lord, who is, and who was, and who is to come, the Almighty. The seven stars in the Savior’s hand are actually leaders of the seven churches rather than their angels. 16 And he had in his right hand seven stars; and out of his mouth went a sharp two-edged sword; and his countenance was as the sun shining in his strength. 20 This is the mystery of the seven stars which thou sawest in my right hand, and the seven golden candlesticks. The seven stars are the servants of the seven churches; and the seven candlesticks which thou sawest are the seven churches. Jezebel and the wicked will be cast into hell rather than into a bed. 22 Behold, I will cast her into hell, and them that commit adultery with her into great tribulation, except they repent of their deeds. 27 And he shall rule them with the word of God; and they shall be in his hands as the vessels of clay in the hands of a potter; and he shall govern them by faith, with equity and justice, even as I received of my Father. Twelve servants of God are sent to all the earth rather than seven Spirits of God. 6 And I beheld, and, lo, in the midst of the throne and of the four beasts, and in the midst of the elders, stood a Lamb as it had been slain, having twelve horns and twelve eyes, which are the twelve servants of God, sent forth into all the earth. Several changes and additions, including a reordering of verses. The woman and the man represent the kingdom of God and the Church of Jesus Christ. 1 And there appeared a great sign in heaven, in the likeness of things on the earth; a woman clothed with the sun, and the moon under her feet, and upon her head a crown of twelve stars. 2 And the woman being with child, cried, travailing in birth, and pained to be delivered. 3 And she brought forth a man child, who was to rule all nations with a rod of iron; and her child was caught up unto God and his throne. 4 And there appeared another sign in heaven; and behold, a great red dragon, having seven heads and ten horns, and seven crowns upon his heads. And his tail drew the third part of the stars of heaven, and did cast them to the earth. And the dragon stood before the woman which was delivered, ready to devour her child after it was born. 5 And the woman fled into the wilderness, where she had a place prepared of God, that they should feed her there a thousand two hundred and threescore years. 7 And the dragon prevailed not against Michael, neither the child, nor the woman which was the church of God, who had been delivered of her pains, and brought forth the kingdom of our God and his Christ. 8 Neither was there place found in heaven for the great dragon, who was cast out; that old serpent called the devil, and also called Satan, which deceiveth the whole world; he was cast out into the earth; and his angels were cast out with him. 10 For the accuser of our brethren is cast down, which accused them before our God day and night. 11 For they have overcome him by the blood of the Lamb, and by the word of their testimony; for they loved not their own lives, but kept the testimony even unto death. Therefore, rejoice O heavens, and ye that dwell in them. 12 And after these things I heard another voice saying, Woe to the inhabiters of the earth, yea, and they who dwell upon the islands of the sea! for the devil is come down unto you, having great wrath, because he knoweth that he hath but a short time. 13 For when the dragon saw that he was cast unto the earth, he persecuted the woman which brought forth the man-child. 14 Therefore, to the woman were given two wings of a great eagle, that she might flee into the wilderness, into her place, where she is nourished for a time, and times, and half a time, from the face of the serpent. 15 And the serpent casteth out of his mouth water as a flood after the woman, that he might cause her to be carried away of the flood. 16 And the earth helpeth the woman, and the earth openeth her mouth, and swalloweth up the flood which the dragon casteth out of his mouth. 17 Therefore, the dragon was wroth with the woman, and went to make war with the remnant of her seed, which keep the commandments of God, and have the testimony of Jesus Christ. 1 And I saw another sign, in the likeness of the kingdoms of the earth; a beast rise up out of the sea, and he stood upon the sand of the sea, having seven heads and ten horns; and upon his horns ten crowns; and upon his heads the name of blasphemy. God uses the word of Christ rather than a sword to smite the nations. 15 And out of his mouth proceedeth the word of god, and with it he will smite the nations; and he will rule them with the word of his mouth; and he treadeth the winepress in the fierceness and wrath of Almighty God. And, finally, Doctrine & Covenants 77 is a wholesale addition to the Book of Revelation by claiming to be a divinely inspired interpretation of the book directly from God Himself. For example, the woman [the Church], the child [the kingdom of God], the rod of iron [the word of God], the dragon [Satan], and Michael are explained. The war in heaven is continued on the earth. These are all additions to the Book of Revelation text with no manuscript support to justify them. 1 Q. 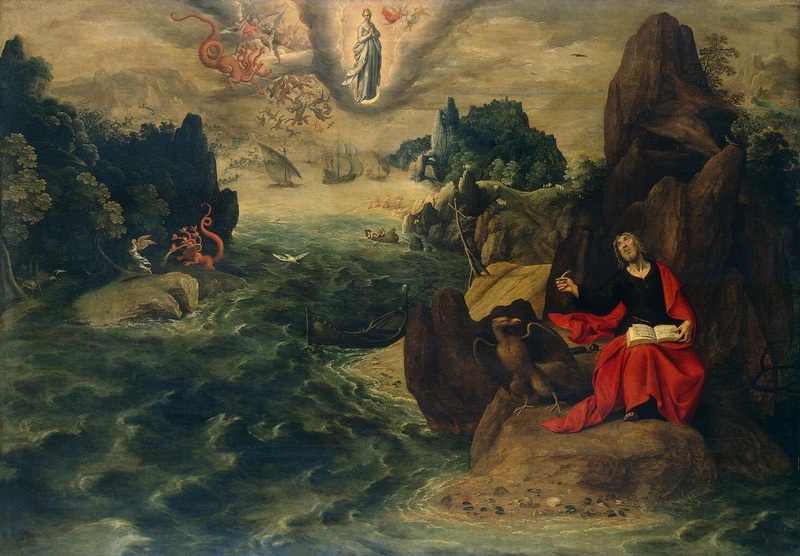 What is the sea of glass spoken of by John, 4th chapter, and 6th verse of the Revelation? A. It is the earth, in its sanctified, immortal, and eternal state. 2 Q. What are we to understand by the four beasts, spoken of in the same verse? A. They are figurative expressions, used by the Revelator, John, in describing heaven, the paradise of God, the happiness of man, and of beasts, and of creeping things, and of the fowls of the air; that which is spiritual being in the likeness of that which is temporal; and that which is temporal in the likeness of that which is spiritual; the spirit of man in the likeness of his person, as also the spirit of the beast, and every other creature which God has created. 3 Q. Are the four beasts limited to individual beasts, or do they represent classes or orders? A. They are limited to four individual beasts, which were shown to John, to represent the glory of the classes of beings in their destined order or sphere of creation, in the enjoyment of their eternal felicity. 4 Q. What are we to understand by the eyes and wings, which the beasts had? A. Their eyes are a representation of light and knowledge, that is, they are full of knowledge; and their wings are a representation of power, to move, to act, etc. 5 Q. What are we to understand by the four and twenty elders, spoken of by John? A. We are to understand that these elders whom John saw, were elders who had been faithful in the work of the ministry and were dead; who belonged to the seven churches, and were then in the paradise of God. A. We are to understand that it contains the revealed will,mysteries, and the works of God; the hidden things of his economy concerning this earth during the seven thousand years of its continuance, or its temporal existence. 8 Q. What are we to understand by the four angels, spoken of in the 7th chapter and 1st verse of Revelation? A. We are to understand that they are four angels sent forth from God, to whom is given power over the four parts of the earth, to save life and to destroy; these are they who have the everlasting gospel to commit to every nation, kindred, tongue, and people; having power to shut up the heavens, to seal up unto life, or to cast down to the regions of darkness. 9 Q. What are we to understand by the angel ascending from the east, Revelation 7th chapter and 2nd verse? A. We are to understand that the angel ascending from the east is he to whom is given the seal of the living God over the twelve tribes of Israel; wherefore, he crieth unto the four angels having the everlasting gospel, saying: Hurt not the earth, neither the sea, nor the trees, till we have sealed the servants of our God in their foreheads. And, if you will receive it, this is Elias which was to come to gather together the tribes of Israel and restore all things. 10 Q. What time are the things spoken of in this chapter to be accomplished? A. 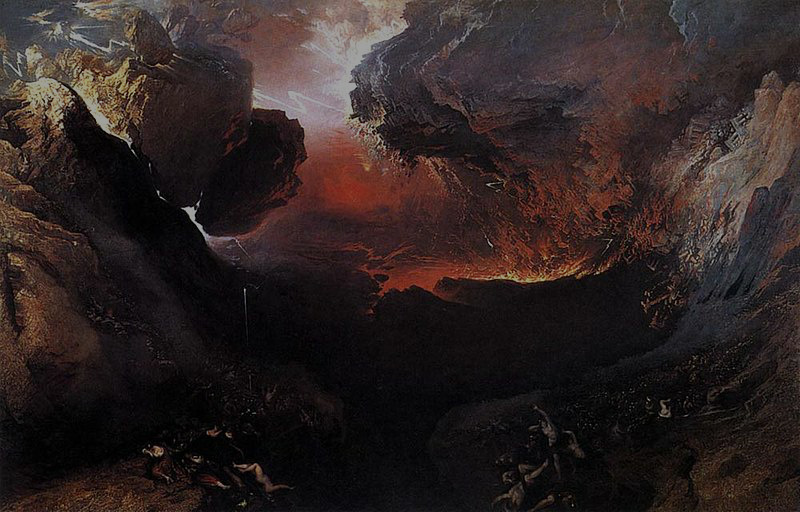 They are to be accomplished in the sixth thousand years, or the opening of the sixth seal. 11 Q. What are we to understand by sealing the one hundred and forty-four thousand, out of all the tribes of Israel—twelve thousand out of every tribe? A. We are to understand that those who are sealed are high priests, ordained unto the holy order of God, to administer the everlasting gospel; for they are they who are ordained out of every nation, kindred, tongue, and people, by the angels to whom is given power over the nations of the earth, to bring as many as will come to the church of the Firstborn. 12 Q. What are we to understand by the sounding of the trumpets, mentioned in the 8th chapter of Revelation? A. We are to understand that as God made the world in six days, and on the seventh day he finished his work, and sanctified it, and also formed man out of the dust of the earth, even so, in the beginning of the seventh thousand years will the Lord God sanctify the earth, and complete the salvation of man, and judge all things, and shall redeem all things, except that which he hath not put into his power, when he shall have sealed all things, unto the end of all things; and the sounding of the trumpets of the seven angels are the preparing and finishing of his work, in the beginning of the seventh thousand years—the preparing of the way before the time of his coming. 13 Q. When are the things to be accomplished, which are written in the 9th chapter of Revelation?A. They are to be accomplished after the opening of the seventh seal, before the coming of Christ. 14 Q. What are we to understand by the little book which was eaten by John, as mentioned in the 10th chapter of Revelation? A. We are to understand that it was a mission, and an ordinance, for him to gather the tribes of Israel; behold, this is Elias, who, as it is written, must come and restore all things. A. They are two prophets that are to be raised up to the Jewish nation in the last days, at the time of the restoration, and to prophesy to the Jews after they are gathered and have built the city of Jerusalem in the land of their fathers. 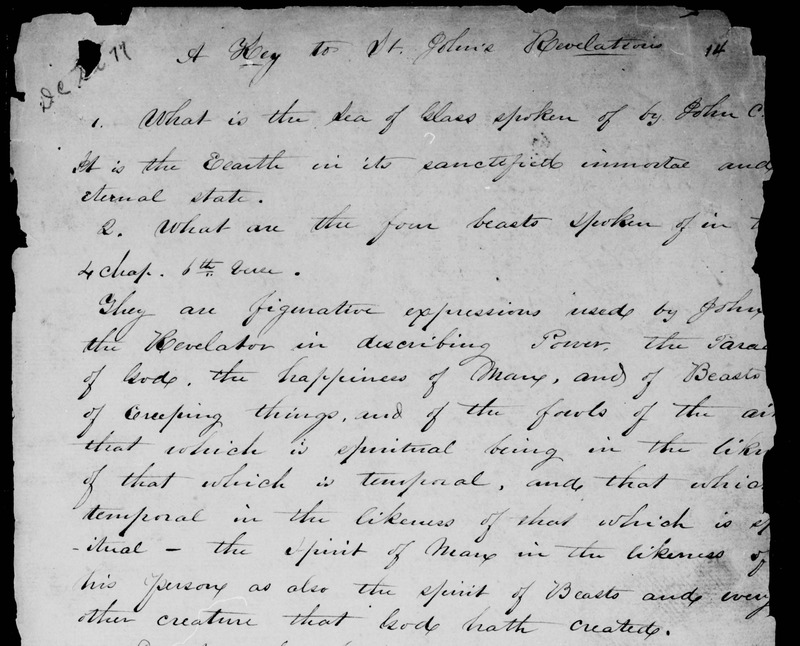 Acting by the spirit of prophecy and revelation, Joseph Smith corrected portions, but not all, of what is amiss in the King James Version of the Bible. In the book of Revelation corrections, for instance, the angels of the various earthly churches become the servants (presiding officers) of those units. The lamb with seven horns and seven eyes becomes a lamb with 12 eyes and 12 horns, thus perfecting the symbolism to identify Christ and his apostles. Chapter 12 is so revised as to identify the woman as the church of God and the child that she brought forth as the kingdom of our God and of his Christ. And so forth. What Mr. McConkie failed to mention here is that Joseph Smith had absolutely no manuscript support – or verifiable support of any kind for that matter – for his changes while the King James translators remained faithful to the source manuscripts they translated from. In other words, Mr. McConkie’s arguments are fatally flawed and rooted in blatant confirmation bias – that is, Mr. McConkie comes to the conclusion first and then bends the facts to fit it. Again, the evidence is clear that Joseph Smith very much disobeyed and violated the explicit instructions of Jesus Christ in Revelation 22:16-22 and one need go no further than official, correlated LdS Church sources to see it. Bruce R. McConkie, “Understanding the Book of Revelation”, Ensign, September 1975. A fuller explanation and analysis of Joseph Smith’s translation of the Bible can be found on the Mormon Think (click here) and Mormon Research Ministry (click here) websites. In addition to the McConkie Ensign article referenced in the prior footnote, the reader can also cross reference the passages using the LDS.org website as noted throughout this article. For example this link provides a quick summary of some (but not all) of the changes that Joseph Smith made to the Book of Revelation: Scriptures: JST Revelation. The first page of the eleven page Translators Preface to the 1611 KJV Bible. This stance is from the “The King James Only Movement” (or “KJV Onlyism” as it will hereby be referred) which, in a nutshell, holds to the stance that the King James Version of the Bible is superior to all other English translations of the Bible and, therefore, the only version that should be used by individual Christians or Christian congregations. KVJ Onlyism also teaches that all other English translations are corrupt, hence the KJV is the only the English Bible that can be trusted. Some KJV Onlyists even go so far at to teach that the King James Bible is without error and was divinely inspired. Some even teach that if there’s a conflict between what the original language manuscripts say and the KJV says you should choose the latter. KJV Onlyism is fraught with a multiplicity of problems that get exacerbated and amplified within a Mormon Studies context. And while I will make every attempt to show charity to my KJV Only brothers and sisters in Christ throughout my critique of their stance, I’m still going to be direct and honest about those problems throughout this article. That said, let me be crystal clear: I love the King James Bible! The KJV was the Bible translation that I grew up with. It’s the Bible that I memorize from. It’s the Bible that I first fell deeply and passionately in love with, and it’s the one that I first read from cover-to-cover (and then read cover-to-cover several more times). To this day the KJV is still the first translation that I turn to first whenever I’m doing research. I also honor and respect it’s unique position and profound influence in the history of the English speaking world. In my opinion, the elegant English of the King James Bible has yet to be matched by any other translation of the Bible. But objectively speaking, The King James Bible isn’t really God’s Word. Neither is the New International Version of the Bible, the English Standard Version, the New American Standard, the New Living Translation, the New King James Version, the Common English Bible, the Holman Christian Standard Bible, or even the Reina Valera (which is the topping selling Spanish Bible in the world). These are all translations of God’s Word. Therein lies a difference – a big difference! If one holds to Biblical inerrancy (as the author does) then God’s pure and unadulterated written revelation to mankind is only found in the original handwritten manuscripts that were produced by either the biblical author or their scribes. These are known as the “autograph” manuscripts (or “autographa”) and none of them have survived. What’s left are imperfect copies (or, more likely, fragments of copies) that, thankfully, we have in such an abundance that we have been able to reconstruct the autographa with a high degree of certainty. 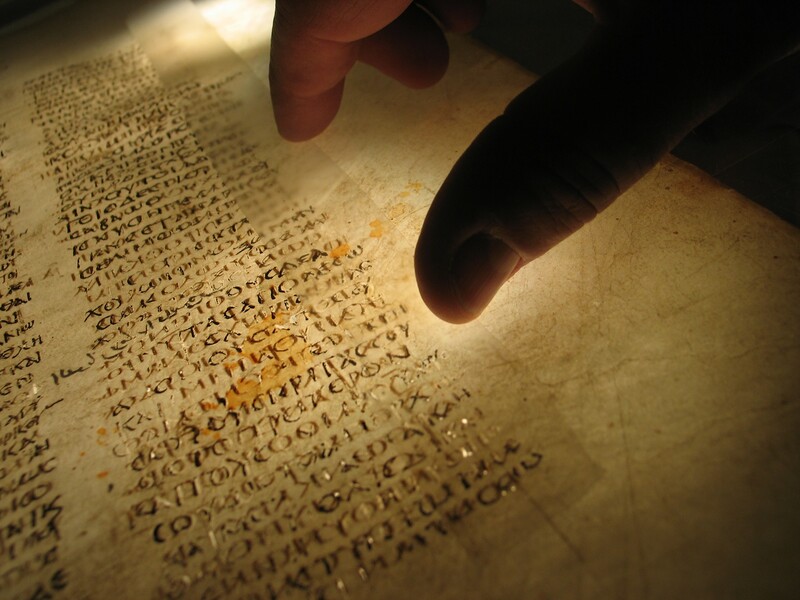 Those reconstructed manuscripts are the closest thing we have to “God’s divinely inspired Word”. Therefore, a translation is only as authoritative as it accurately reflects those original language reconstructions and they are only as authoritative as they reflect the autographa. Further, translation is always an interpretative interpretative process since no two languages translate precisely word-for-word the same. For example, take a simple Spanish phrase like “¿Qué pasa?” The most common English translation is “What’s happening?” but if you transliterate it word-for-word it would be: “What passing?” So does that mean that the ONLY 100% accurate, true, or correct translation is “What passing?” Clearly, that’s nonsense. “¿Qué pasa?” can also be translated: “What’s up?”, “How’s it going?”, “What’s goin’ down?”, or even “Wazzup?” While all these translations are correct Spanish to English translations some are more accurate, some more elegant, others more vernacular, but all are valid translations appropriate to different English speaking contexts and dialects. So if it’s this complex for just a simple two word translation between two living contemporary languages consider how much more so it is going from complete sentences and paragraphs from ancient languages into modern English. All that to simply say, getting fanatically dogmatic about a translation – any translation – of the Bible is bound to get you in trouble. Mormon Researcher Bill McKeever has a a great saying, “The gospel is offensive enough – let’s make sure we offend Mormons with what really matters!” Arguing from dogma, preferences, and non-essential doctrine dilutes the message to Mormons that really matters. 1) Mormonism teaches another Jesus. 2) Mormonism teaches another salvation. 3) Mormonism gets Christ’s resurrection mostly right but is still wrong. 4) Mormonism teaches another gospel. 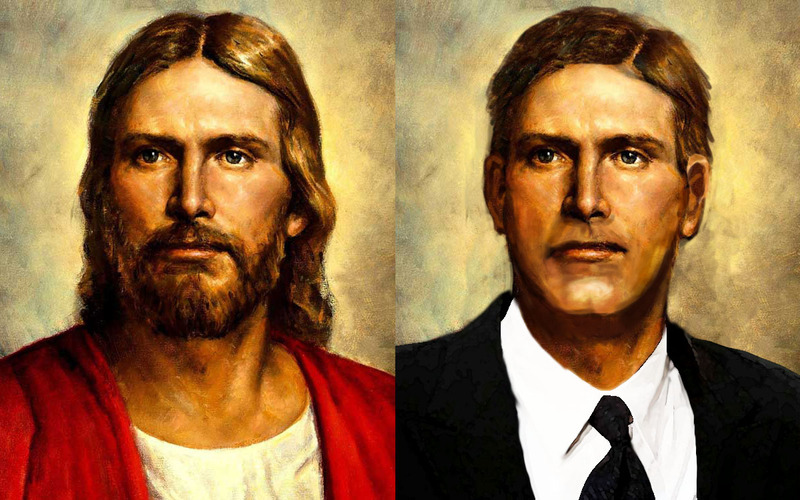 6) Mormonism follows a false prophet. Like the notes in a musical theme these six points can be woven into a seemingly endless array of strong, persuasive arguments. Use them skillfully and creatively and your arguments against Mormonism will be as moving as a Mozart symphony. But if you deviate too far from them, we’re talking Spike Jones. 2) King James Onlyism mirrors Mormonism’s irrational, feelings based epistemology. So, if scholarship is not the ultimate basis for the present TR-KJV [Textus Receptus-King James Version] movement, what is? What kind of non-scholastic methodology is thought to allow God to be the final authority on what constitutes the Bible instead of men? Their answer is FAITH! The same kind of faith that God demands when one believes in Jesus as his Lord and Savior — so they claim. By this method, one can be independent of other men and come to a final conclusion by himself concerning what constitutes the Word of God. 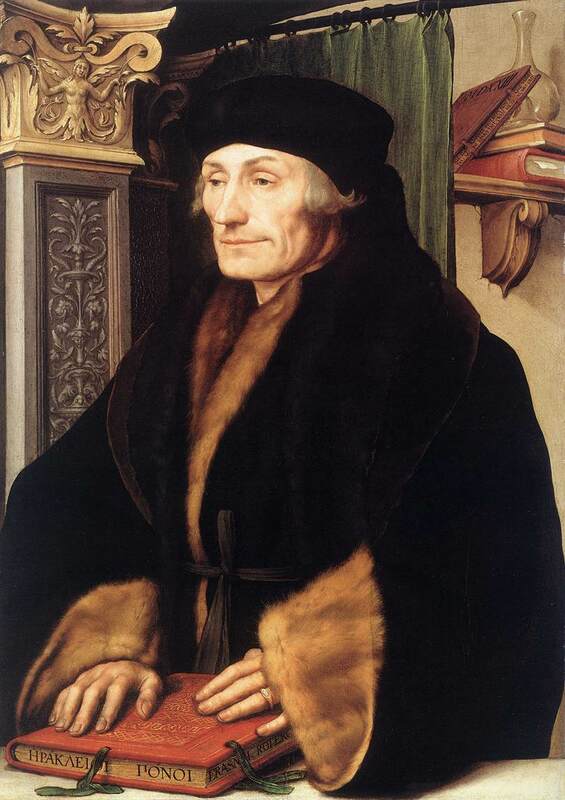 Dutch humanist and Roman Catholic Priest, Desiderius Erasmus in 1523 as depicted by Hans Holbein the Younger. Erasmus was responsible for the Textus Receptus. An example of this kind of faith is seen in the following case. When confronted with a difference between the KJV and (say) the NASB [New American Standard Bible], how does one tell which reading is genuine? By the method of scholarship, one would have to study the manuscripts and their history. By the method of “faith,” however, one only has to pray and ask God to reveal to him in some way (without scholarship) which reading is correct. If one has been saved under preaching from the KJV, it is very easy to appeal to one’s personal experience as God’s revealed “proof.” They would say, “I can see the changes that have taken place in my life since I believed what was taught in the KJV. These changes are evidence that God is really working in my life. Therefore, I know that the KJV is the best text without any manuscript evidence.” This methodology, of course, is then later used to defend every word in the KJV text. In our discussions with pro-KJV people, it is not uncommon for them to claim that even the TR [Textus Receptus, the manuscript the KJV New Testament was translated from] can be wrong, but the KJV cannot. However, is this the kind of “faith” the Bible talks about? Blind faith based on personal experience and independent of other evidence such as manuscripts and history? In I Corinthians 15:14, the Apostle Paul wrote, “And if Christ be not risen, then is our preaching vain, and your faith is also vain.” How does one determine whether Christ has actually risen from the dead? Are not historical and archaeological evidence (using scholarship) for the reliability of Scripture involved? Did not Paul give historical evidence when he told the Corinthians to ask the other Apostles and the five hundred brethren who saw saw the risen Christ (I Co.15:4-7)? Would this not involve some scholarship in determining whether a person actually saw Christ or was lying? Should not every Bible believer be ready to renounce his faith if a grave in Palestine were ever identified unmistakably to contain the remains of Jesus Christ? If not, what would be the difference between that person and a liberal who says that it does not really matter what happened, only what a person believes happened is important? We fundamentalists sometimes claim that some of the hymns we sing are doctrinally unsound. Is this not the case for that line in the hymn “He Lives” which says “You ask me how I know He lives? He lives within my heart!”? There is more to Biblical faith than belief without objective evidence. If not, then how does one witness to a Mormon? Present day Mormons claim that scholarship can never prove or disprove that Joseph Smith is a prophet of God or that the Book of Mormon is also the Word of God. That would make other men the final authority on Mormonism, not God. If one should point out some of the abundant evidences against Mormonism, Mormons will usually respond that these problems will eventually be resolved in favor of Mormonism given enough time. The primary evidence for the truth of Mormonism comes from the Holy Spirit working in one’s life, so their claim goes. 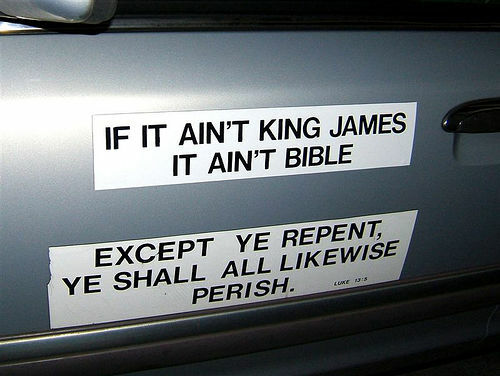 A KJV-Onlyist’s car sign leaves little doubt where he stands. Prospective converts are first given a presentation of Mormonism. Then they are asked to pray to God and sincerely ask Him to show them by divine revelation whether or not Mormonism is true. By this methodology, many people do indeed become Mormons while others do not. With the passing of time, many converts will be able to give glowing testimonies of the changes God has supposedly wrought in their lives. If one asks why certain people who prayed decided not to become Mormons, Mormons will typically answer that such people must have prayed (at least subconsciously) with an insincere heart. Otherwise, they would have become Mormons! Indeed if the growth of a church is the evidence of God’s blessing the use of a particular text, the Book of Mormon would do well. Mormonism is one of the fastest growing religions in America. Does the methodology of faith without scholarship produce any more certainty than faith based on scholarship? Has not every person once thought he was certainly right on some issue only to later change his mind and believe he was totally wrong? Is God really the final authority in this methodology? If He is, then why do people become Mormons and claim to have peace and assurance in their times of need? Has not God really been replaced by “leading by feelings” concerning their experiences using the KJV in this methodology of faith without scholarship? Nowhere in the Bible are we taught that the feelings about our experiences, even after sincere prayer, are the voice of God. Whenever I’ve had discussions with KJV Onlyists I’ve encountered exactly the same type of evidence denial, thought stopping and information control tactics, ad-homineming, testimony bearing, subjectivity, apologetic spin doctoring, and feelings based irrationality that I see in my engagements with Mormons. Making non-essentials essential is a very Mormon thing to do – and KJV Onlyists in this regard are very Mormon. 3) KJV Onlyism reinforces Mormon Article of Faith Eight dogma. Article eight reflects this subtle deviation and Mormon orthopraxy confirms it. So while KJV Onlyists may feel like they’ve had a major break through when they see their Mormon friends smiling and nodding in agreement at their attacks on non-King James translations of the Bible, they’re really just helping to dig the grave that those very same Latter-day Saint will later throw both them and the Bible (including their KJV Bible) into down the road. The Codex Sinaiticus was handwritten well over 1600 years ago. This manuscript contains the entire Christian Bible in Greek, including the oldest complete copy of the New Testament. 4) KJV Onlyism takes the focus off source manuscripts – and in Mormon Studies source manuscripts are a critical issue. Whenever we’re talking about translated text the source manuscripts are vitally important. In the case of the Bible they’re important for the all reasons outlined above. In the case of the Book of Mormon they’re important because: a) Not only do we not have the original autographs (that is, the Golden Plates) we have no evidence that they existed at all, and; b) In the case of the extant Book of Mormon manuscripts we have exactly the same type of text variants that Latter-day Saints use to create doubt about the integrity of the Bible. In the case of the Joseph Smith Translation of the Bible (which we’ll discuss later) there is no manuscript support for his revisions to the KJV text. Further, in the case of the Book of Moses, we have no manuscripts to support Joseph Smith’s “translation” – period. Finally, in the case of the Book of Abraham the autograph manuscripts actually discredit Joseph Smith’s “translation”. When it comes to Mormon Studies, manuscripts are a constant topic of conversation – it never seems to end. Taking the focus off of the source manuscripts puts the Bible, which has strong manuscript support, on the same level as Mormon scripture which doesn’t. 5) KJV Onlyism eliminates a powerful tool: The appeal to better translations. For I testify unto every man that heareth the words of the prophecy of this book, If any man shall add unto these things, God shall add unto him the plagues that are written in this book; and if any man shall take away from the words of the book of this prophecy, God shall take away his part out of the book of life, and out of the holy city, and from the things which are written in this book. The point usually made in connection with these verses is that it is a very serious thing for a manuscript to have even one word added, missing, or altered from what God originally inspired. However, the phrase “book of life” in verse 19 is found in no Greek manuscript. Every Greek manuscript has “tree of life.” The phrase “book of life” appears to be an uninspired change imported by Erasmus from the Roman Catholic Latin Vulgate. From a Mormon Studies perspective, since the King James is the only officially endorsed version of the Bible it’s membership may benefit from it’s strengths but it also gets dragged down by it’s weaknesses. Without the ability to appeal to better, alternate translations of the original languages and manuscripts it’s hard to overcome this. Consider, for example, how Mormons use the King James mistranslation of the Hebrew words for “copper” or “bronze” (nechushah or nechosheth, see 2 Samuel 22:35, Job 20:24, Psalm 18:34, Jeremiah 15:12) to justify the anachronistic usage of steel in the Book of Mormon (see 1 Nephi 16:18, 1 Nephi 4:9, 2 Nephi 5:15, Ether 7:9, Jarom 1:8). If you hold to the stance that the translation of the KJV Bible was divinely inspired then translations of the Hebrew words as “copper” or “bronze” in modern translations are actually corruptions – right? However, the exact opposite is true – making the KJV Onlyist stance for KJV “steel” just as fallacious as the Mormon Apologist rationalization for steel in the Book of Mormon is. 6) The archaic English of the King James Bible can be hard to understand and lead to misinterpretation. Has this article left you astonied? Do you suffer from blains? Are you afraid of cockatrices? Do you do a lot of downsitting? How do you feel about evilfavouredness? Can you help me with a little furbishing? Does all this Jacobean English leave you vexed? If so, you’re not alone, most of us find this archaic 17th century dialect confusing. KJV Bible aside, do your remember your first Shakespeare read? How many trips to the glossary or annotations did that “adventure” take? Well, that too is Jacobean English – I rest my case. Clearly, what is reverent and respectful to one group is stuffy and artificial to another; what is irreverent and disrespectful to one group is a sign of personal relationship and boldness of access to another. In the first century, books written for the literati were still written in Attic Greek [aka, “Ancient Greek” the posh, formal, scholarly dialect of the time]. Is there something to be learned from the fact that the New Testament documents were written by men who, moved by the Holy Spirit, chose rather the colloquial Hellenistic Greek? Moreover, there is a decreasing number of people today who can read Elizabethan English and readily understand it. The person brought up on the KJV knows that “deny” in Matthew 26:34 really means “disown”; that “Suffer little children …” really means to permit them to come; that “prevent” in I Thessalonians 4:15 really means “precede.” But not many others do. 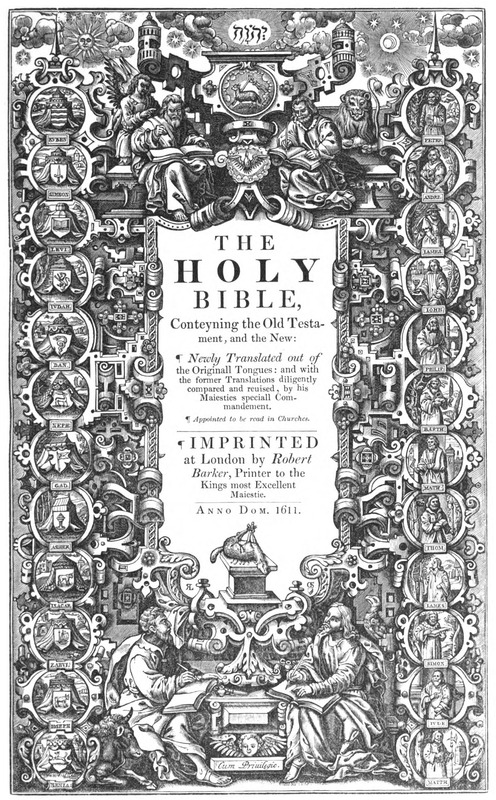 Genesis 1 in a 1611 KJV Bible. Another problem we need to be aware of in using the King James Version is that the English language has changed. For example, what does the following verse mean? The word I’m focusing on is “replenish”. We understand this word to mean to replace, or fill, or build up again. In other words, if we replenish the water in a bucket, we are replacing water that used to be there but no longer is. This makes this verse seem to be saying that the earth was once populated, and Adam & Eve are to fill the earth with people again. However, at the time the King James Version was translated, the word “replenish” meant to “fill to capacity.” It did not mean to refill. So it had a totally different meaning. Thus in Genesis 1:28 God is telling Adam & Eve to fill the earth to its capacity. In this author’s opinion that any English Bible that requires a glossary of English words in order to be properly understood by common, modern, native English speakers is best approached with caution. 7) KJV Onlyism reinforces Mormon Great Apostasy dogma. Yes, this is really how most Mormons see us! The KJV Only controversy is, in reality, a non-issue when compared with the serious challenges that face the Christian Church today. That so much time and effort has to be put into debunking the wild allegations of such individuals as Gail Riplinger [a writer and speaker known for her support of the King James Only movement] is more of an indication of how easily American Christianity is distracted from its true purpose than anything else. English-speaking members should use the Latter-day Saint edition of the King James Version of the Bible. This edition includes the Topical Guide; footnotes; excerpts from the Joseph Smith Translation; cross-references to other passages in the Bible and to the Book of Mormon, Doctrine and Covenants, and Pearl of Great Price; and other study aids. 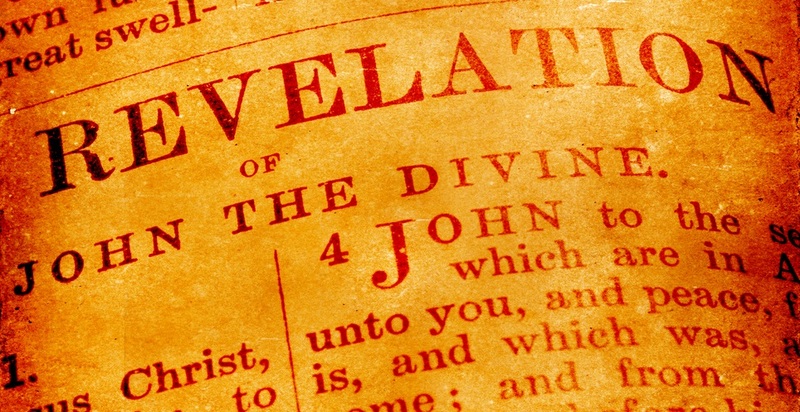 Although other versions of the Bible may be easier to read, in doctrinal matters, latter-day revelation supports the King James Version in preference to other English translations. When the Church was organized in 1830, the King James Version (KJV), also known as the Authorized Version, was the translation predominantly used in the English-speaking world. Latter-day Saints relied on it in their meetings, and the Book of Mormon, Doctrine and Covenants, and Pearl of Great Price were written in a style of language similar to that in the KJV. 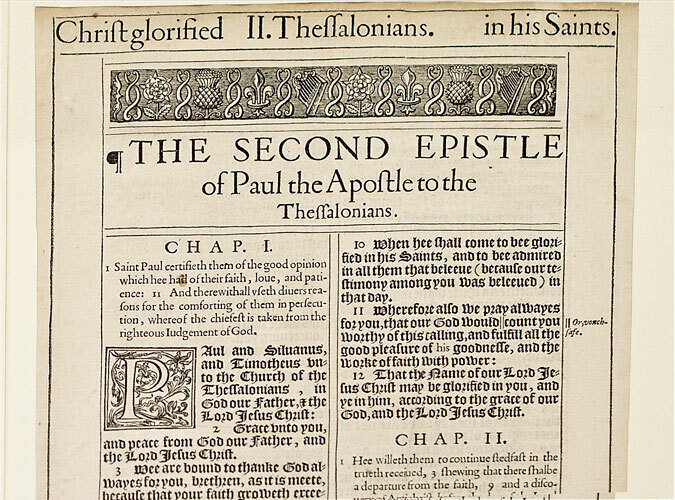 2 Thessalonians from a 1611 KJV Bible. Can you read this? Is there any value then for the Latter-day Saint in using modern English translations? Although the Church prefers to continue with the KJV for its English-speaking members, we should not assume that the many other translations are not useful. They oftentimes explain passages that are difficult to understand. In cases of confusing phrases and archaic words, readers can quickly compare the verses with those in other translations. In addition, comparing many different translations will often expand one’s understanding of a particular verse. The most reliable way to measure the accuracy of any biblical translation is not by comparing different text, but by comparison with the Book of Mormon and modern-day revelations. So, the question is, “How do you overcome that?” The answer can be found in the next section. The LDS Church officially sanctions the King James Version Bible, although church manuals and publications have been increasingly giving more attention to Joseph Smith’s Inspired Version, it “translation” of the Bible he claimed to have “finished” in 1833 (History of the Church of Jesus Christ of Latter–day Saints Salt Lake City: Deseret Book Co., 1973, 1:368: Deseret News 1999-2000 Church Almanac [Salt Lake City: Deseret News, 1981, 483). In the June 1999 edition of the LDS magazine Ensign, Andrew Skinner, department chair of ancient scripture at BYU, apparently agreed with its importance: “In the words of Elder Bruce R. McConkie (1915-85) of the Quorum of the Twelve Apostles, ‘The Joseph Smith Translation, or Inspired Version, is a thousand times over the best Bible now existing on earth.”‘ Skinner went on to say, “The JST is a special gift given of the Lord. It is one of the great evidences of the Prophet Joseph Smith’s divine calling.” Despite such accolades, the LDS Church does not give away copies of the Joseph Smith Translation. In 1830 Joseph Smith began working on a correct translation of the Bible. Sidney Rigdon was his scribe. In preparing this translation of the Bible, Joseph was not translating from an ancient language, as he did with the Book of Mormon, but was restoring the Bible to its original meaning. As Joseph studied and pondered the Bible, he was inspired through the power of the Holy Ghost to correct errors in it. 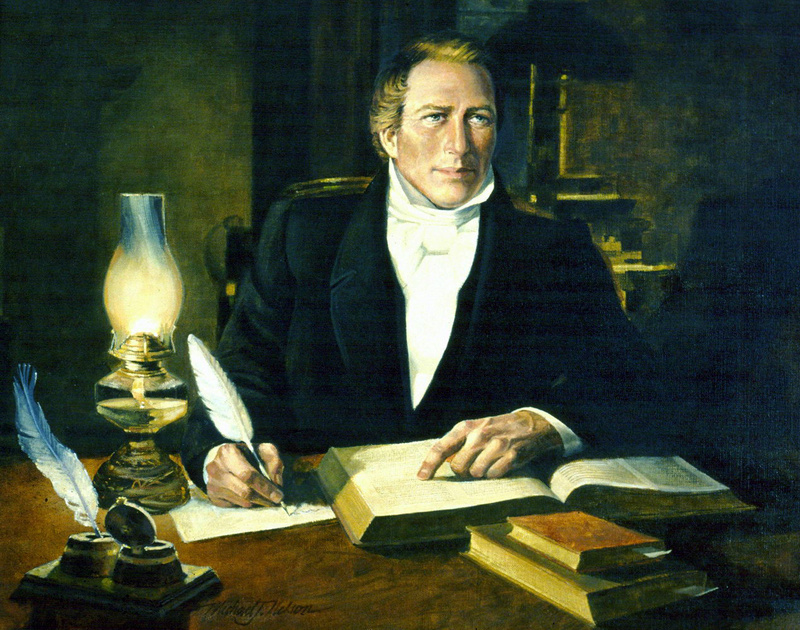 As Joseph Smith worked on his inspired translation of the Bible, his knowledge of the gospel grew, and he was blessed by the Holy Ghost. Many revelations in the Doctrine and Covenants are answers to questions about statements in the Bible that Joseph did not understand. 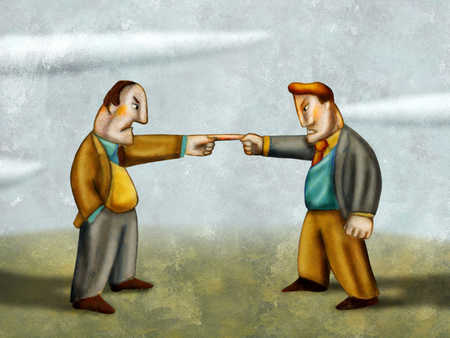 Therefore, when dialoguing with Latter-day Saints it’s actually better to cite from the Joseph Smith Translation of the Bible than the King James because it takes the Articles of Faith, Article 8 “as far as it is translated correctly” weapon out of the Mormon’s hand – the Latter-day Saint presumption is that the Joseph Smith Translation is translated correctly and no other Bible is. I would also point out to my fellow Evangelicals that Joseph Smith left about 90% of the original KJV text that he was working from intact. For the remaining 10% that he corrupted I simply switch back to the KJV and use it instead. So while it’s a bit more work to use the JST, I certainly don’t hear the “that’s not translated correctly!” objection as much as I did back when I was exclusively using the KJV with Mormons. Charles Larson, in his 2009 ExMormon Foundation address, told the story of how he overcame one Mormon’s Article Eight bias by taking him directly to the source manuscripts and then comparing them to the KJV, the JST, and several modern English translations. The Mormon could see for himself that Article 8 was nonsense – the English Bibles, old and new, were translated correctly relative to their sources. However, in the case of the JST, he saw that Article Eight was true – there was a huge disconnect between the manuscripts and Smith’s “translation.” Thus, it became readily apparent from the body of evidence who was telling the truth and who wasn’t. So I thought I would try it, and sure enough, it works. This final approach is a lot of heavy lifting so I use it sparingly – typically only for the really hard cases. However, it works really well. Of course, all too often when painted into this corner many Mormons will play the, “well Article 8 actually means that the Bible wasn’t transmitted correctly!” and start quoting Bart Ehrman in a, “Bart said it! I believe it! That settles it!” fashion in a last ditch effort in order to find an escape hatch – but that’s yet another article (and a long a complex one to boot) for another day. The KJV Only stance opens up can of worms, after can of worms, after can of worms. In the end, and after the body of evidence has been examined, KJV Only truth claims don’t hold up to scrutiny any better than Mormon truth claims do. Both belief systems are ultimately irrational and feeling, not fact, based. So I suppose it should come as no surprise that I have heard more than one Atheist ExMormon state it was extreme “escape from reason” type stances like King James Onlyism on the Christian side of the divide that convinced them that there was no difference between it and Mormonism. In their words, they’re both just two sides to the same fanatical coin. And, frankly, if Mormonism and King Onlyism were the only two things that I’d ever known I might be inclined to agree! In fact, and to open the kimono a bit here, it was the legalistic “escape from reason” Christianity that I experienced as a child that caused me to go atheist in my younger days. 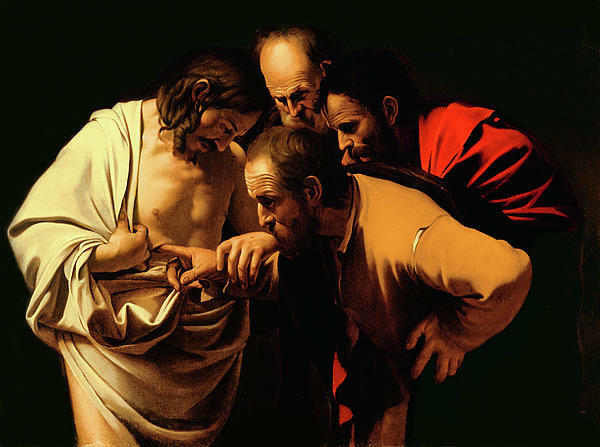 The Incredulity of Saint Thomas by Caravaggio. In my opinion, at the core of both the Mormon “follow the prophet” and King James Only dogmas is a self deceptive denial that the world isn’t as simple, easy, or straightforward as we would like it to be. Thus the deniers try to turn this incredibly complex, often overwhelming life passage into something it’s not: A simplistic melodrama in which everyone is either the faultless and righteous Eliza or the purely evil Simon Legree. A world in which the ne’er do wrong good guys always wear white hats and never miss when they shoot. And, of course, the ne’er do right scheming bad guys in the black hats are out to get ’em one way or another! The orderly world of the deniers is one in which, unless the black hats get in their way, there’s a place for everything and everything is in it’s place. Rather, we live in a messy, fallen, broken world in which the Biblical New Testament autographa was preserved by massive, unsupervised, dissemination by all God’s people – commoner, priest, and king – who, with the best of intentions and motives; and with as much skill as they could muster, still managed to create a massive jigsaw puzzle for those who followed in their wake to reassemble. It’s both a blessing and a curse that there are multiple pieces for any given part of the original picture on the box – which oh by the way is long gone. But the good news is that we have so many pieces and clues between pieces that we can reconstruct the original picture with a high degree of certainty – thank God for that! Oh, and, by the way, we’re still finding new pieces so the reconstruction of the original just keeps getting better and better and better. In the end, the best we can do is produce the best translations from what we’ve got. And, according to the original 1611 preface that was all the was the only thing the King James Bible translators claimed to do – and nothing more (click here for text, here for photographs, and here for a good summation by a seminarian). Both KJO [King James Only] promoters and those who use modern translations have been more than blessed by God as far as His Word is concerned. They are privileged to have the Word of God more complete than the vast majority of God’s people throughout history. Abraham and his family did not have the Word of God at all. Moses and the early Israelites had only the first few books of the Bible (the Pentateuch). King David had less than half the Old Testament. Even the apostle Paul had only the Old Testament. Early Christians to the fourth century had only the relatively few copies that were made and circulated in their particular locale. Christians from the fourth through sixteenth centuries had to be content with those few versions that existed prior to the King James—which were usually not even produced in their own language. Christians from the seventeenth to the nineteenth centuries had only the King James Version and a few others. And, until the use of the printing press became widespread the vast majority of believers couldn’t even own a Bible. Copies were simply too expensive—even if they were available. Christians had to rely upon what was heard at church services. By comparison, Christians of today are immeasurably richer—not only to have the King James translation, but to also have reliable modern versions. All believers should give thanks for the great wealth they do have rather than bickering over relatively minor differences among translations. If you are a Christian who uses the King James Version—if you understand what you read and are comfortable with it—then by all means continue to use it. If you are a Christian who uses a good modern translation, you should also feel free to continue to use it. Don’t be deterred or intimidated by those who would tell you that you do not have the true Word of God in your hands. Part IV: Why So Many Versions? Short (54-pages), concise, and direct – an excellent primer. Robert C. Newman; Douglas S. Chinn, “Demystifying the Controversy over the Textus Receptus & the King James Version” Even shorter (33-pages) but a bit technical. A good next step after Ankerberg and Weldon since it assumes some degree of prior knowledge on the subject. Written in 1978, this was the watershed critique of KJV Onlyism. All other works listed here cite extensive from this book. This is a nearly exhaustive treatise on the subject for layman. It’s now considered the definitive critique of KJV Onlyism – even D.A. Carson recommends this book now. Finally, I would refer the reader to the Preface of the 1611 edition of the King James Version – go directly to the source. 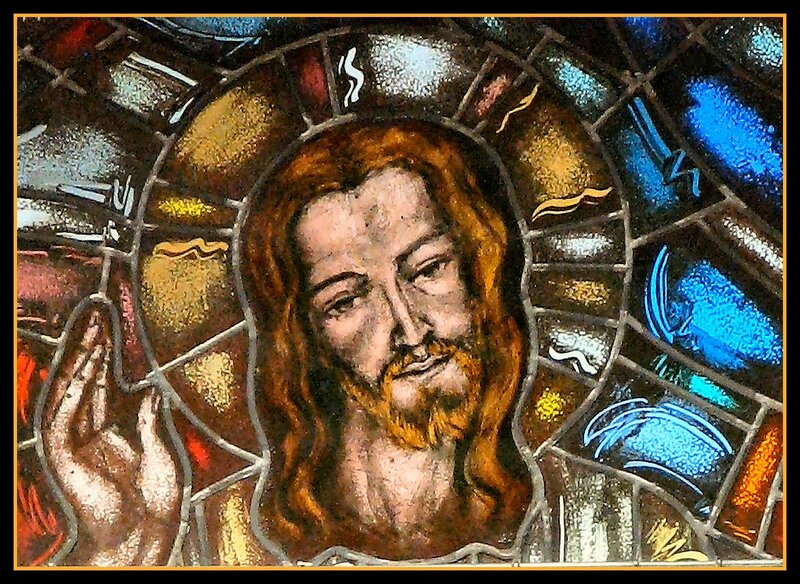 (click here for text, here for photographs, and here for a good summation by a seminarian). In the 1611 KJV preface the translators explicitly state that they don’t consider their translation perfect, just an incremental improvement over past translations. They also state that a translation can never be infallible since it’s not exactly like the original manuscripts. They even state that they fully expect better translations to follow theirs since this had been the pattern in English Bible translation since the Reformation. In other words, the KJV translators considered their work to merely be a link in a long chain of good translations, not the final end-all, be-all translation that the KJV Only Movement claims that it is. “Historically, Christian affirmations of biblical authority are often expressly restricted to the “autographs.” And there are obvious reasons for this view. Biblical authority does not apply to whatever a later scribe might happen to write down—it applies to what the biblical authors actually wrote. Robert C. Newman; Douglas S. Chinn (2012-07-20). Demystifying the Controversy over the Textus Receptus & the King James Version (IBRI Research Reports) (Kindle Locations 441-490). Interdisciplinary Biblical Research Institute. Kindle Edition. Over the past twenty-one years, editor Royal Skousen has pored over Joseph Smith’s original manuscripts and identified more than 2,000 textual errors in the 1830 edition. Although most of these discrepancies stem from inadvertent errors in copying and typesetting the text, the Yale edition contains about 600 corrections that have never appeared in any standard edition of the Book of Mormon, and about 250 of them affect the text’s meaning. In other words, the Book of Mormon has exactly the same kind of manuscript text variants that source Biblical manuscripts do – the same variants that Mormons point to regarding our so-called “compromised” Bible. And proportionally there are more of them relative to the size and scope of the manuscript record. The KJV New Testament was translated from Desiderius Erasmus‘ Textus Receptus which was the best Greek manuscript reconstruction available at the time. To compare and contrast, Desiderius Erasmus but had only six Greek manuscripts to work from and they all dated from the 12th Century or later – over 1,000 years after the autographs were authored. Erasmus also lacked a complete copy of the book of Revelation and was forced to translate the last six verses back into Greek from the Latin Vulgate. Further, Erasmus adjusted the text in many places to correspond with readings found in the Vulgate rather than adhering tightly to his source Greek manuscripts. By comparison, today translators have over 5,800 Greek manuscripts to work from ranging from fragments to complete editions of the New Testament. And the oldest manuscripts date back to the 2nd Century. D.A. Carson, “King James Version Debate, The: A Plea for Realism” (Kindle Locations 1666-1674). Baker Publishing Group. Kindle Edition. If there was a “problem” with the New Testament of Joseph’s day it was that it had just a bit more material than was original to those New Testament books. (Scribes almost never deleted anything from the manuscripts they copied, but they sometimes added words or phrases, often in the margins as explanations that later scribes copied as if they were part of the book.) The additional material is insignificant except in two places: the ending of Mark (16:9-20) and the story of the woman caught in adultery (John 7:53-8:11). The consensus of New Testament scholars is that these two passages of a dozen verses each were later additions to the Gospels. And here is something worth noting: in his revisions to the Bible, Joseph did not indicate that either of these two passages should be omitted. In fact, Joseph added some words to the passage about the adulterous woman (in John 8:6). The LDS view of the “corruption” of the text of the Bible, then, has things exactly backwards. The original text of the books of the Bible has survived with no significant omissions. “Many plain and precious things” were not lost. Instead, scribes added words here or there, and in a couple of places short passages, that were not part of the original text. Joseph Smith’s revision to the Bible consists almost entirely of additions, several of them lengthy, that we can say with reasonable certainty were not part of the original books of the Bible. Furthermore, Joseph failed to identify those two major additions to the New Testament that did not belong. This Kindle title makes the process of picking Joseph Smith’s revisions easy by bolding Smith’s additions and including but showing the removals as strike-throughed text: Kenneth and Lyndell Lutes, “Joseph Smith Translation” [Kindle Edition] The authors have also included the original KJV chapter and verses numbers – which is a big help when cross referencing against the KJV. “When we see how God lead His people to recognize the canon of Scripture, the listing of the books that were inspired over against those books that were not, we note that He did not therein engage in any celestial fireworks. No angels showed up with golden tablets marked, ‘Divine Index’. Instead, God worked with His people over time, leading them to recognize what He had already done through the act of inspiration. Some might wish that it had happened faster, and some might wish for a more spectacular process, but God did it in His way, in His time. The same is true regarding the protection and preservation of the biblical text. One might well see tremendous divine wisdom in the way God worked over the years. By having the text of the New Testament in particular explode across the known world, ending up in the far-flung corners of the Roman Empire in relatively short order, God protected that text from one thing we, centuries and millennia later, could never detect: wholesale change of doctrine or theology by one particular man or group who had full control over the text at any one point in its history. John Ankerberg; John Weldon, “Facts on King James Only Debate” (Kindle Locations 816-829). ATRI Publishing. Kindle Edition. 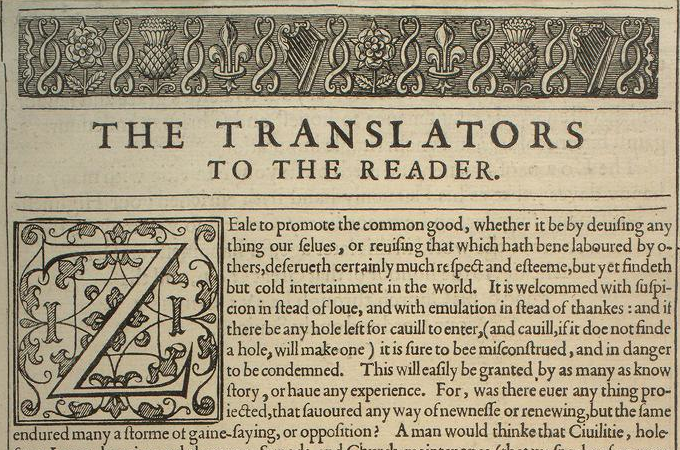 Top of Article Banner Photo: The 1611 Translators Preface to the KJV Bible.